Is it just us, or do things never seem to go as planned? If you do a soft Google on when your best plan falls through, you’ll find approximately 14,287(ish) inspirational quotes about seeing it through when things don’t turn out as we hoped, dreamed, or even planned for. It can be incredibly frustrating for a new business owner to see that once-golden nugget of inspiration fall through the cracks, never taking flight as your million-dollar idea. 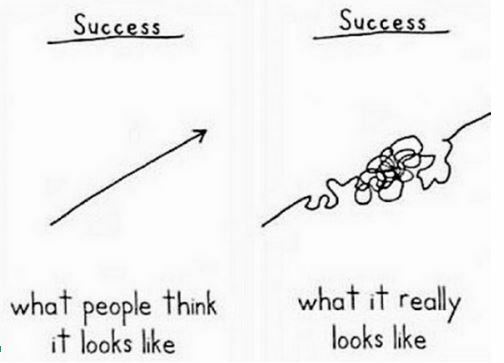 We totally get that, but part of why we’re seasoned entrepreneurs is because we’ve had a lot of plans fall through. And we’ve lived to tell the story. But really, as fate would have it, sometimes Plan B – your backup plan, that other thing you considered, an alternate route, a less vetted idea – hasn’t really been the safety net to catch you. Instead, sometimes, Plan B turns out to be your best Plan A.
Ah, the lazy brain affliction. It’s okay, we all do it. It’s part of our brain’s evolutionary function, actually, to use shortcuts, thinking tricks, and whatever is comfortable so that it doesn’t waste unnecessary energy. But unless we’re mindful of that and really work through the ideation process, we may just end up with the product of a brain that’s overtaxed and in no mood to really think through whether or not this thing will work. It doesn’t work out as you expected and here you are, wondering whether you should give Plan B a chance. This piggybacks on #3 above. Growth doesn’t happen in your comfort zone and as humans, we have a natural urge to push away anything that’s uncomfortable (another evolutionary function that groomed our species to survive!). I’ve had to learn time and time again that my success usually depends on how willing to be uncomfortable I am. And admittedly, I’ve made some huge business mistakes by following what I knew and felt comfortable. Like most inspirational stories of business ownership, the courage to get out of my comfort zone is what led me to my greatest successes. And almost always, Plan B is out of your comfort zone. I can’t emphasize this enough. Many people who venture into solopreneurship already have a fair amount of personal success and confidence. Sometimes those successful experiences turn into really humbling moments as you venture into being a business owner. It’s only fair – we can’t expect to be amazingperfectawesomefantastic at our first attempt at something! 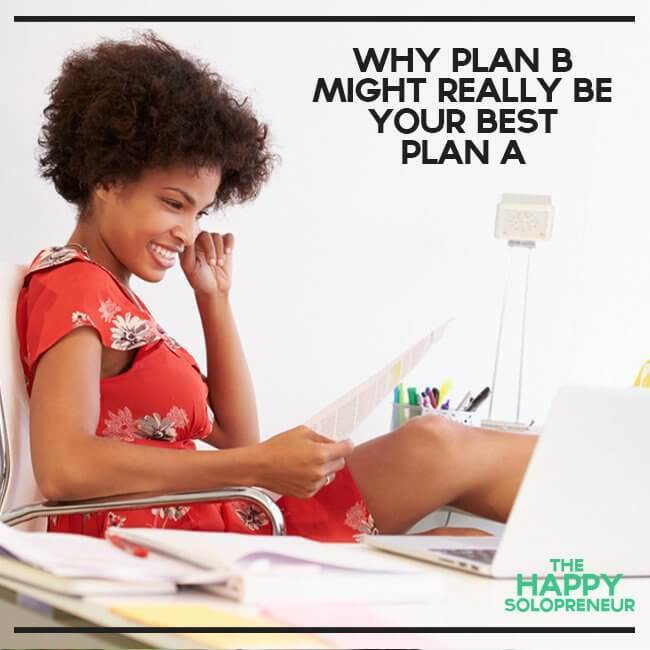 So as you keep pushing through the hard spots, learning more, and refining your business, you may find that Plan B wasn’t something you could have/would have taken on in your initial phase of solopreneurship. You needed to get more experience to launch brilliant Plan B out into the world. Go for it!